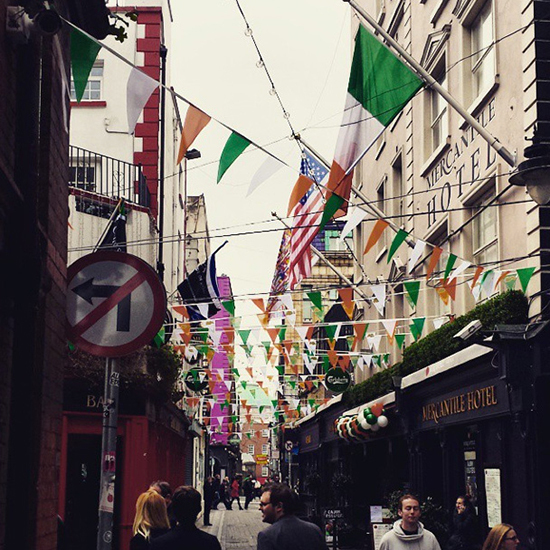 Though celebrated for centuries under religious auspices, St. Patrick's Day took on a new meaning in 1995 when the Irish government decided to use the holiday to host a multi-day international event showcasing Irish culture, talents and history on a national and global stage. Click through the slideshow for a look at the preparations and festivities. 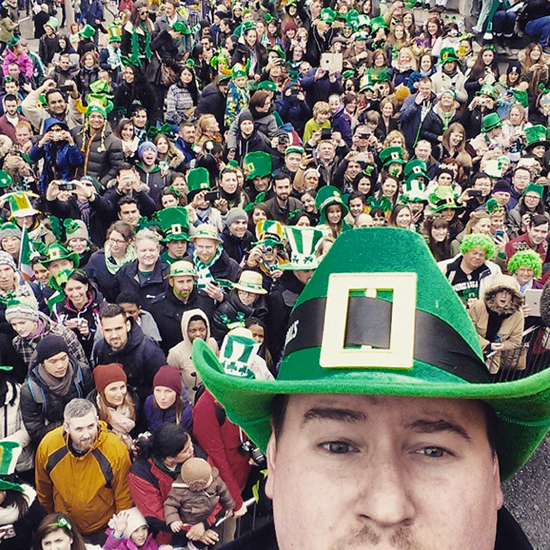 Over 1 million green-clad revelers from all over the world celebrate St. Patrick's Day in Dublin. Festival organizers start decorating days ahead of the official holiday like here on Crow Street. 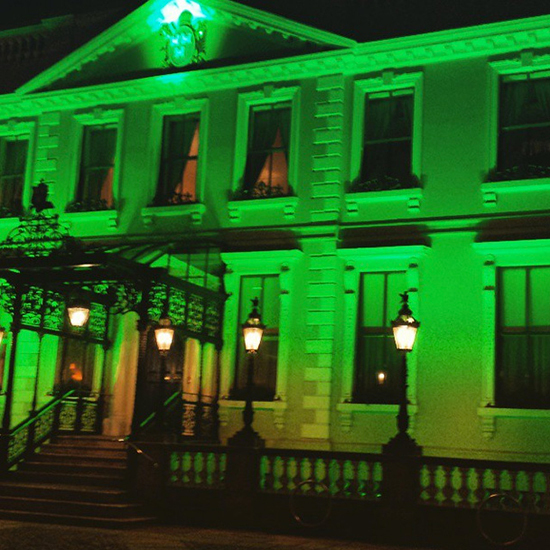 Starting the weekend before, Dublin buildings light up in green each night leading up to March 17. Jameson Live! 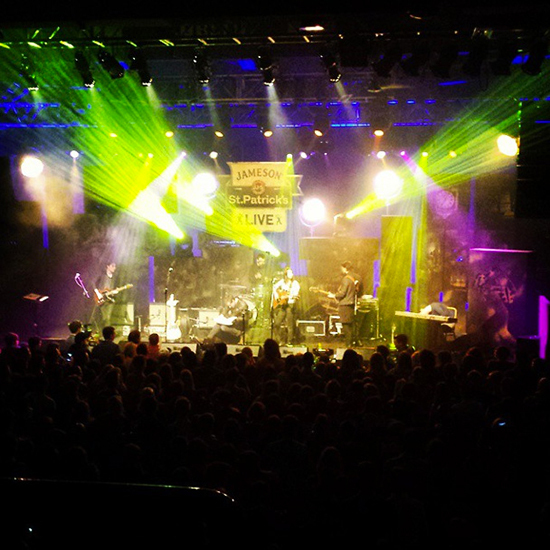 Is a huge concert at Vicar Street just across the river from iconic distillery. Over 20 million people tune in to the broadcast. 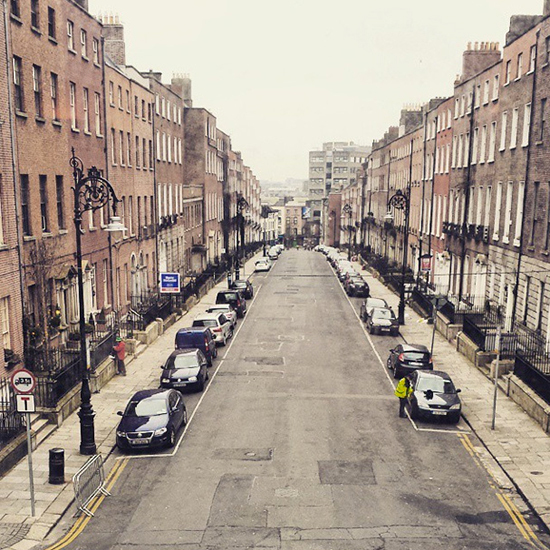 The calm before one of the world’s largest parades. 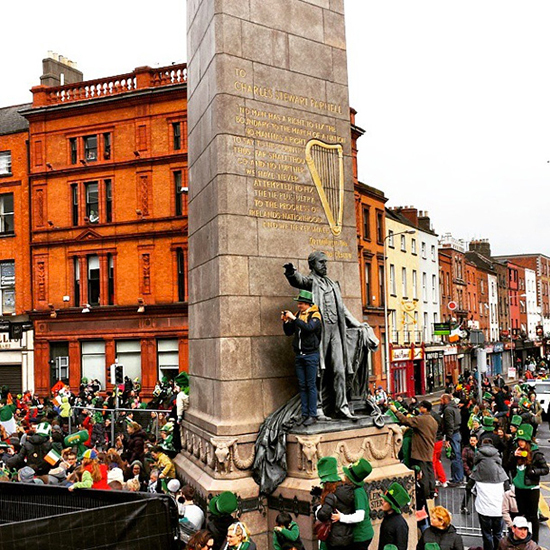 The parade starts in Parnell square, home to the statue of Charles Stewart Parnell, a 19th century leader for Irish independence. 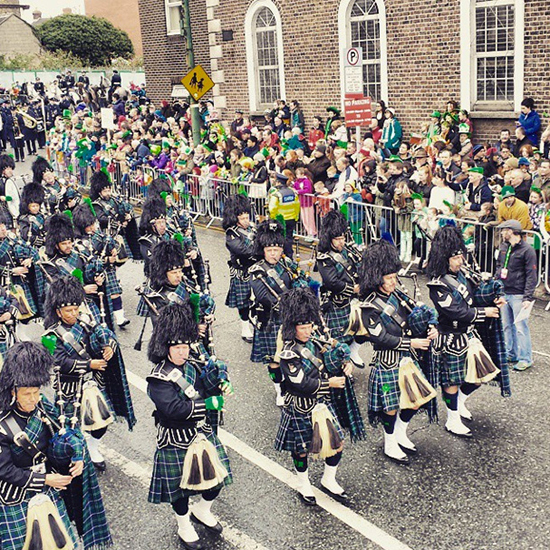 Four-days of preliminary festivities culminate with the official St. Patrick's Day Festival Parade on March 17. The event draws over one million spectators. Performers, like the Chicago Police Department’s Bagpipes and Drums, come from all over the world to march. Green beer is a decidedly American phenomenon. 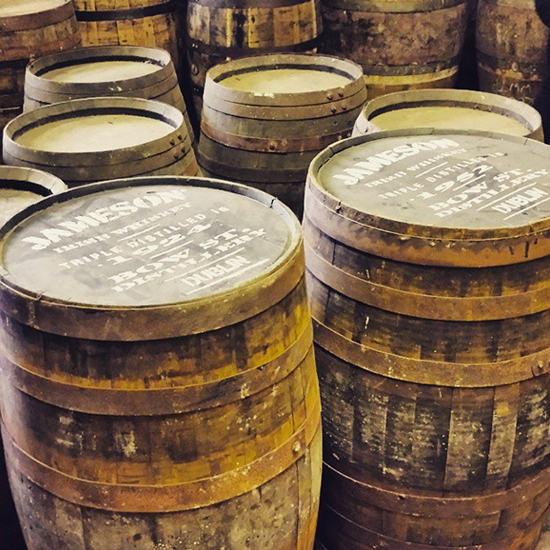 Ireland's Jameson distillery, which is over 200 years old, supplies plenty of whiskey for the weekend. 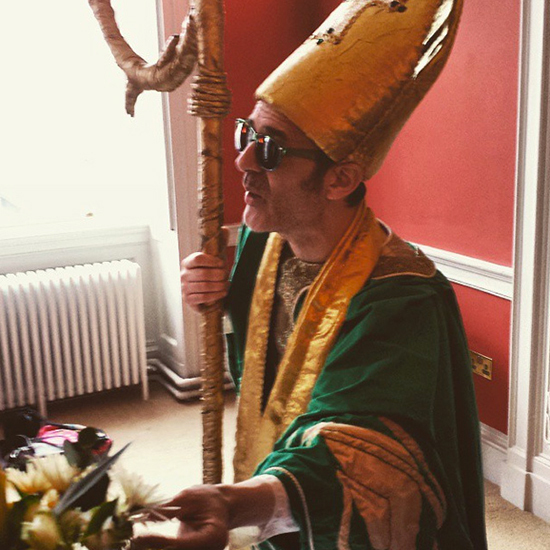 Every year someone gets to play the part of St. Patrick.